Im a self-proclaimed foodie, and its time to impart my Manchester knowledge onto the majority..
My favourite thing to spend my money on is eating out in restaurants. My boyfriend goes crazy at me for it, as most nights I’ll opt to eat out rather than go out to buy food and cook and clean it. Lazy I know, but I love having my food cooked the way I like it, without me having to fuss in the kitchen. So over the 8 years I’ve lived in Manchester, I’ve come to find a number of places that I hold pretty highly in my hungry heart. 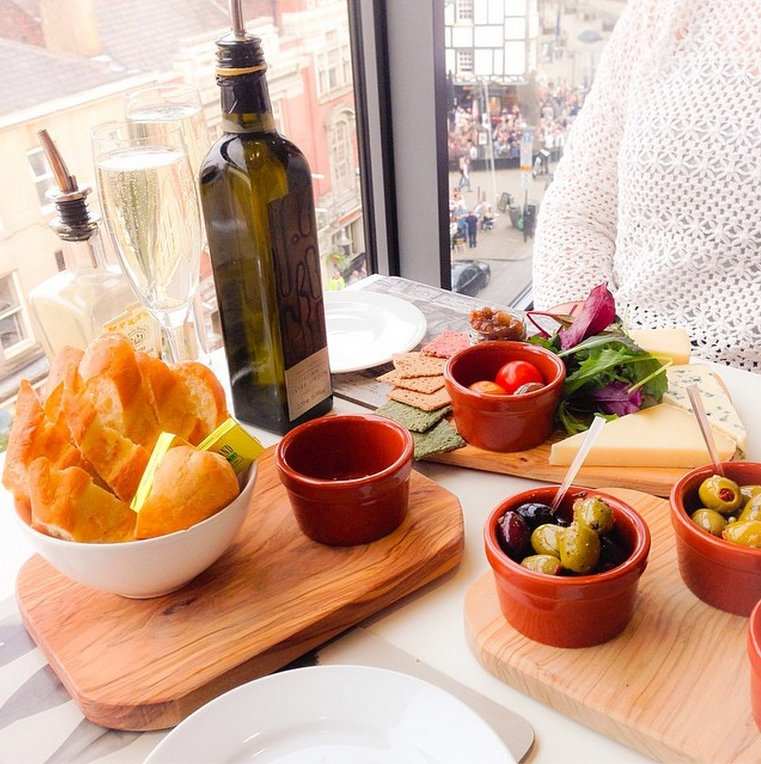 Whether you’re after Italian, Greek, Mexican, Thai, Japanese, Indian, American, Canadian or good old British food, here are my top 12 places to eat in Manchester City Centre. And just to be helpful, I’ve provided a reason as to why they’re awesome, some price points, recommendations, the restaurant menu, the website and the location for each, plus an instagram photo from my own trip there. Now go get full. A restaurant I have talked about and photographed umpteen times and one of those must-visits. Australasia is tucked beneath the large Armani store in Spinningfields on Deansgate, within the triangular protruding glass box you see poking from the cement. You walk down into a white washed cavern with the most delicious Japanese and Asian cooking. An ultimate luxury and somewhere that often has large waiting lists, so I would book in advance, especially for a weekend. But for a romantic meal or celebration, this is definitely a must. Luxury and at the top end of the price scale, but the quality is definitely worth it. I love the lunch menu for the Vietnamese Pork Egg and grilled chicken and cucumber salad. Also, do not leave without eating the Mango Souffle dessert as it is out of this world. And for drinks, the Kir Royale. Spinningfields, on Deansgate next to Armani. Me and my bestie headed to San Carlo for a luxurious girls Saturday night, yet this is another favourite for a lush date night or special family occasion. Its on the expensive side, but the Italian food is to die for. I went for the Fillet Steak in madeira sauce with a layer of pate, and my goodness it was heavenly. We also indulged a little on Prosecco and desserts afterwards and we both still talk about how wonderful the evening was. Have a peek at the Menu if you fancy something lavish. Luxury and high priced. Annoyingly the website does not show prices, but you’re looking at around £7 a starter, £15-25 average for mains and around £7 for dessert. Well it has to be the Fillet Steak doesn’t it. Deansgate, next to House of Fraser. My flatmate and I stumbled upon Spice Lounge as its around the corner from our flat. They’re so friendly in there and super quick with the food, plus the menu has all your favourite on there. They also do takeaway if you fancy staying in, but of course you will need to go and pick it up. So I say, make the trip and sit inside and enjoy. It smells amazing in there. Average Indian meal prices really. Mid priced and around £40 for two people with all the trimmings and drinks. For takeaway you pay a little less. I would personally recommend the Korma, as Im *that* sort of gal, but go for Chicken and Lamb mixed, its so nice to blend the two flavours. Id also recommend the bhajis as they’re huge and delicious, and the coconut naan is also a favourite. Just opposite Shudehill bus station. A two minute walk up the street from the Printworks. I frequent this place very often. I just cant get enough of it, and it will be dearly missed when I leave for London. Thats why I’m on my way there tonight for a last supper before my Sunday move. But this is an absolute gem. Tucked away near to the Manchester Cathedral, where you find the Christmas Markets each year, this restaurant is the best priced Italian food in the city. Fantastic prices for pizzas, pastas and salads, excellent service and just a wonderful environment. I have had so so many fantastic evenings in here with friends, family and on date nights. Check out the menu if you fancy it. For what you get, the prices are amazing. A margherita pizza starts at £5.50 and my favourite salad is just £7.75. 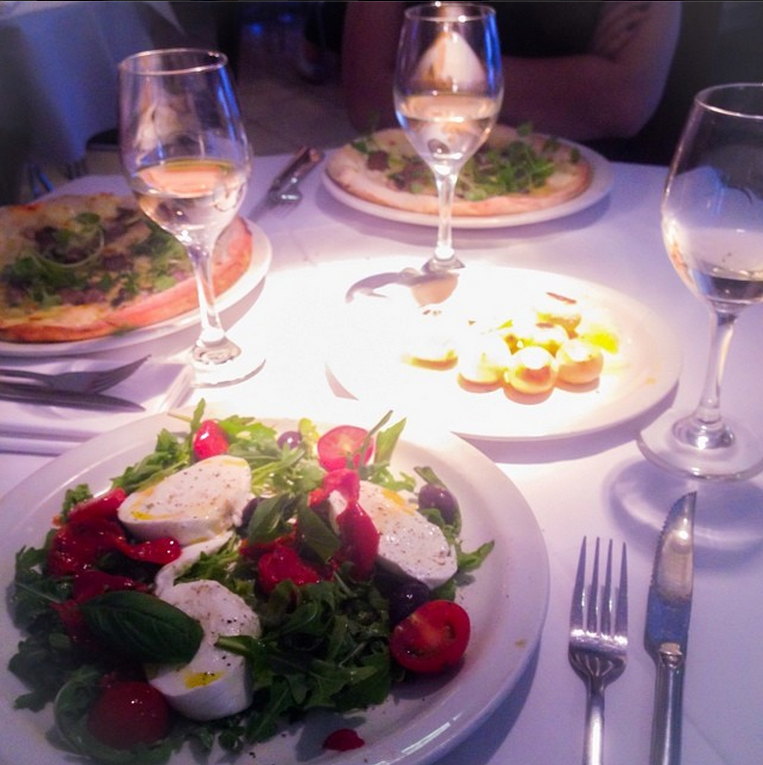 The Buffalo Mozzarella Salad is my absolute favourite when I go here, as the pieces of Mozzarella are creamy and huge. It tastes so wonderful. But the pizzas here are out of this world too. The Florentina especially. Opposite Piccolinos and up the street next to Manchester Cathedral that starts with Starbucks. 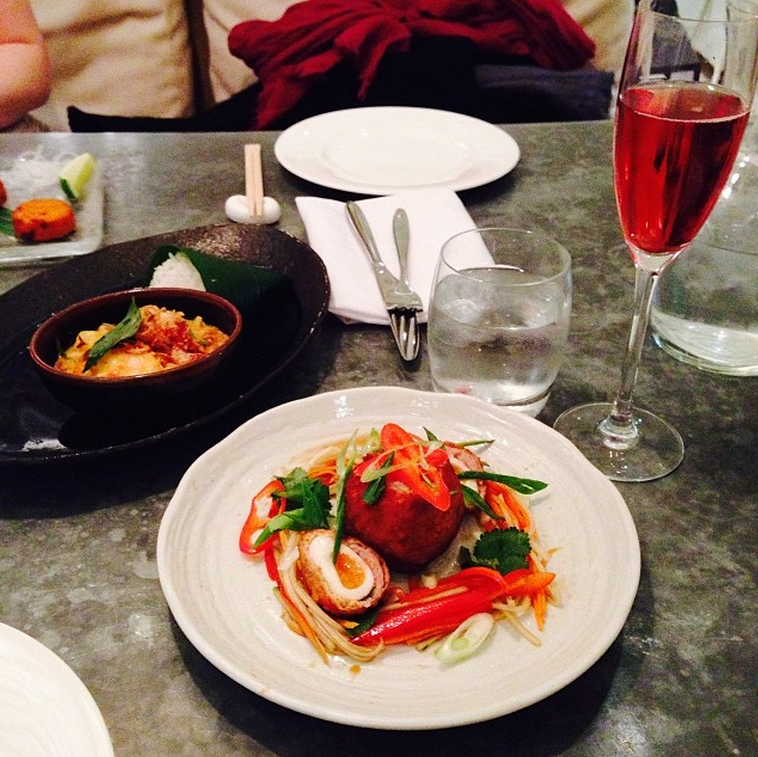 You’ve probably heard of Chaophraya before, as they have a few restaurants around the country. But this one really is special if youre after a Thai feast. 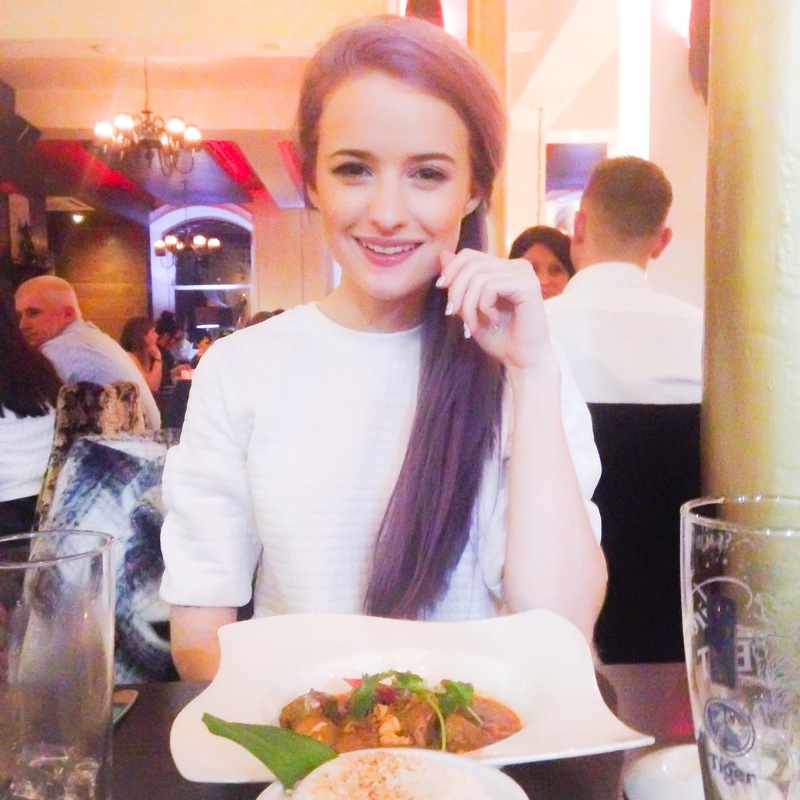 The atmosphere is really exciting and vibrant and the food is just as wonderful. Great for a date night or a meal with lots of friends. If its your birthday that night, you will certainly know about it. Lets just say they have gongs. 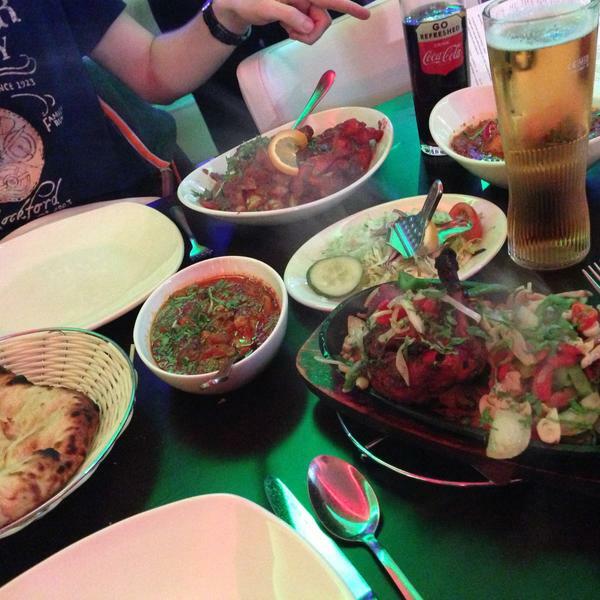 It is a little over average price, with a curry being around £11, but the quality is excellent. Definitely the Massaman Lamb curry which is the chef’s signature dish. It is more than yummy. Just off Cross Street, the same street where you will find the side entrance to the huge Boots, and a little up from Pret a Manger from there. If you follow me on Instagram, you will have seen countless pictures of Moose Coffee, and those pancakes. Moose recently got extremely popular for breakfast and brunch, so much so that you usually will wait 15 minutes for a seat any time you go, yet the food is definitely worth it. Canadian and American specials, and food that you won’t really find elsewhere in the city centre. Great for a Saturday morning hangover pick me up, or somewhere to chill with mates in an afternoon. Average prices for brunch. Around £7 for anything on the menu. The granola, peanut-butter, nutella and orange slice pancakes are just an absolute dream, but if youre after savoury, the pesto, ham and pine nut scrambled eggs on bagels, otherwise known as the Liberty Moose, is a personal favourite. 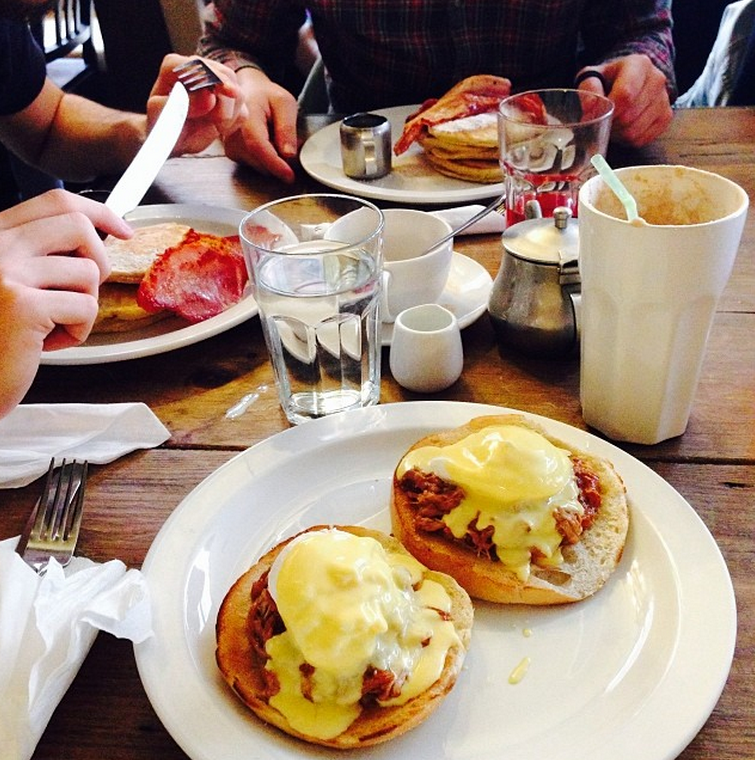 But you cannot go wrong with the New York Moose, aka classic eggs Benedict. Just down the street to the right, next to the main busy entrance to Primark. Follow the road down there for 300 yards, along where cars cut through market street, and you’ll come straight to it. Another personal favourite, Richmond Tea Rooms is another well kept secret that is no longer well kept. I adore this place. 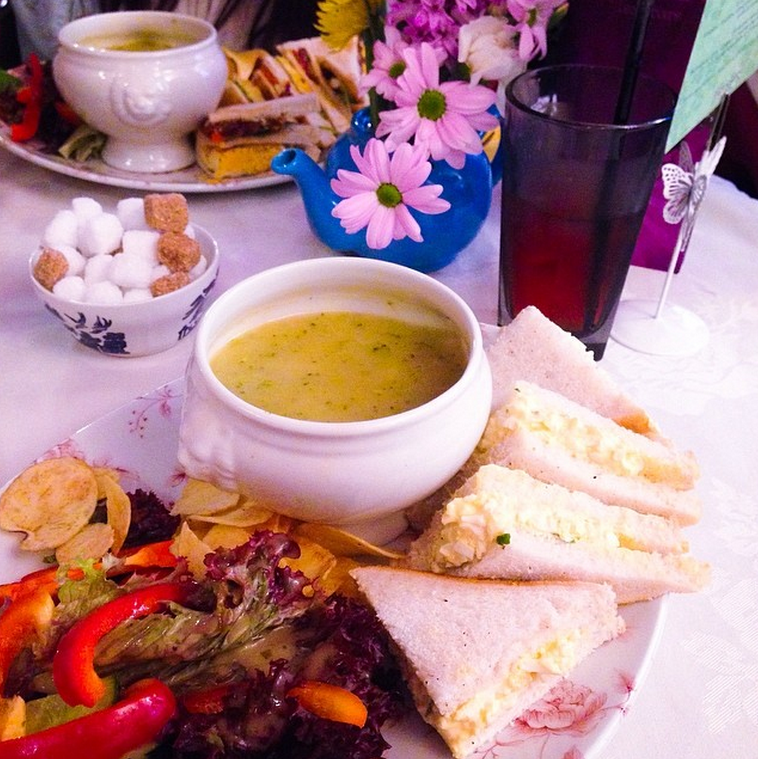 Tucked into the Gay Village, just near to Canal Street, Richmonds serves those wonderful English country brunches comprising of salads with crisps, egg mayo butties and hearty homemade soups.They also have a good, old-fashioned cake display with the most incredible cakes inside. 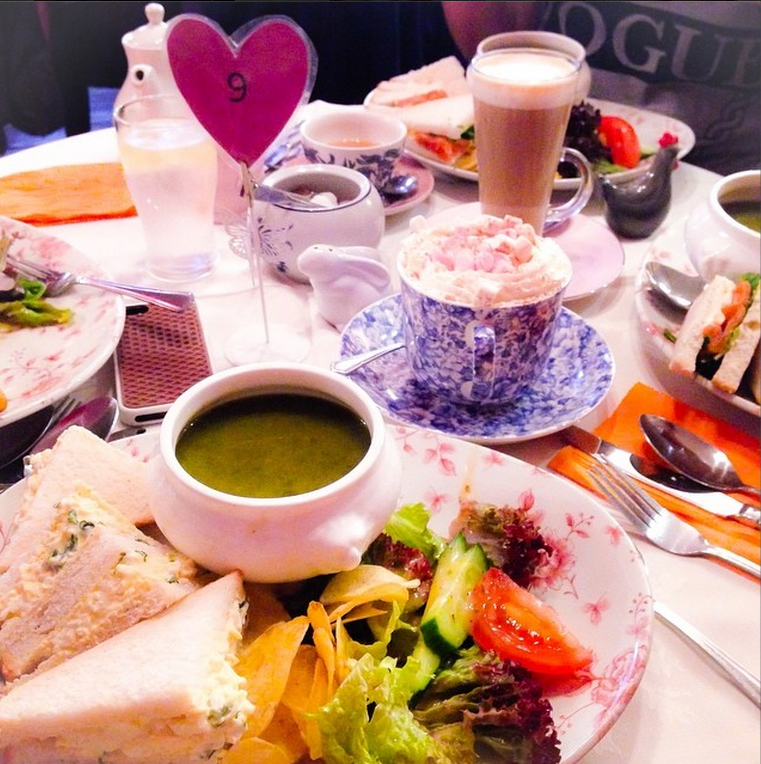 The whole place is also decorated like Alices tea party, and you’ll find yourself staring at all of the weird and wonderful decorations around the room whilst you tuck into your cream tea. I love this place for lunch on a Sunday, with the boyfriend when we just want a comfortable place to nestle. But this is also a fantastic spot to bring your mum for Mothers Day, as I have before, as well as family and friends for a lovely tea room experience. Average tea room prices. A soup and sandwich is £9. Check out the menu for more prices. I absolutely adore the Tweedle Dum, otherwise known as Croque Monsieur, with an egg on top, but you can hold the egg if you like. But you cant really beat the soup and sandwich here either. Just off Canal Street in the Gay Village. Dough is pretty well known around these parts, and rightly so, their pizzas are incredible. This is why they had to be my specific pizza recommendation restaurant. Their flavours are unique and so delicious, Im just so gutted they’ve taken away my Duck and brie favourite now. But there are still so many yummy pizzas to choose from. 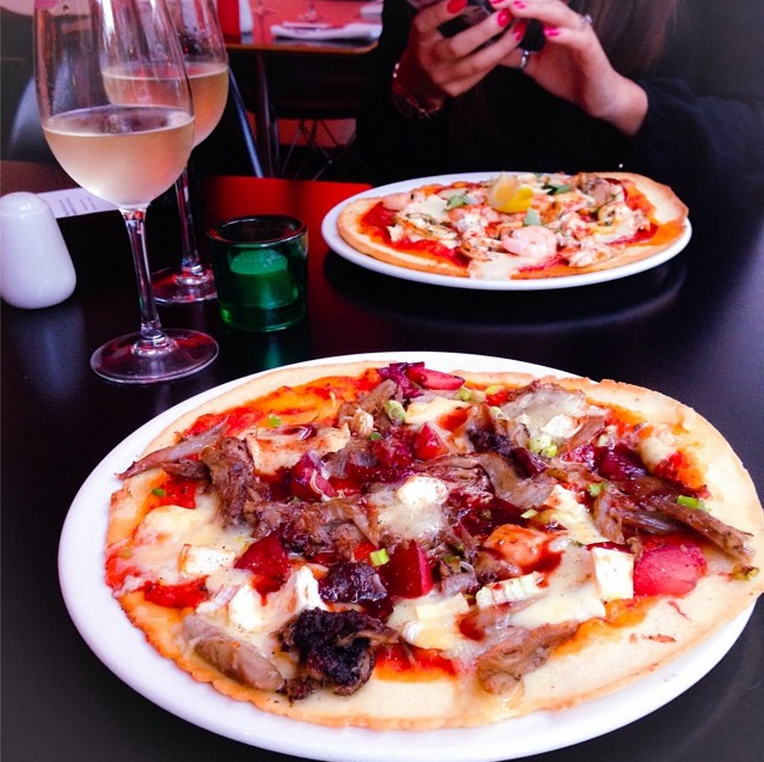 Great for a chat over pizza with mates or as a quick place to eat before a gig or other. A little more than Croma but still fairly reasonable for a good, homemade pizza. You’re looking at £10 really. Check out the menu for more. The baked camembert starter is just delicious. Who doesn’t like cheese though?! The Florentina is my pizza of choice. In the Northern Quarter, on the corner of Thomas Street. Walk up the road from the Printworks, take a right onto Thomas Street and walk to the end of that first section until you see Dough. Coolest restaurant name goes to… This place is another well loved eatery, in the heart of the Northern Quarter. In fact just across the road from my Pizza recommendation, Dough, Lust Luck takes you upstairs to a pretty chilled restaurant setting. 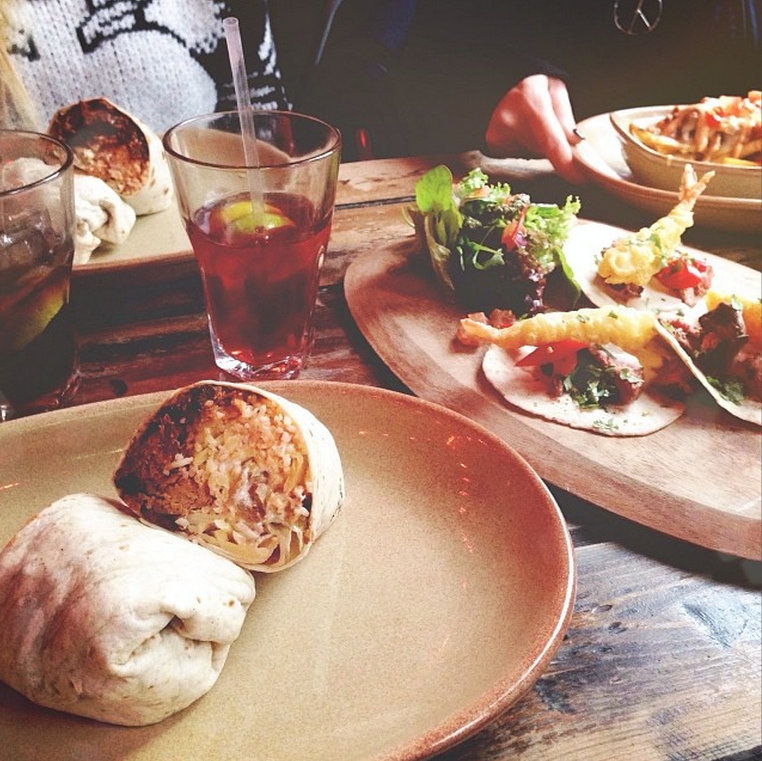 They serve loads of cool mexican food bits, with the usual suspects: tacos, burritos, nachos, you know the drill. 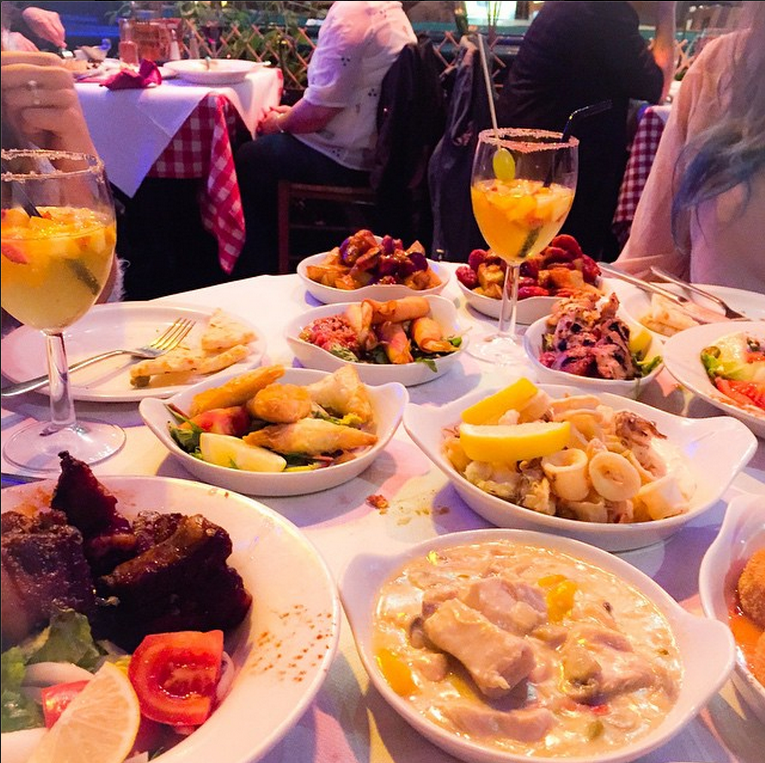 Great for a quick bite, a fun date night or a chilled night with friends. Around £8 for a meal, so nothing that’s going to break the bank. I personally really like the Alabama Slammer Burrito, as I’m a pulled pork kind of lady. But I don’t think you’d go wrong with a burger from this joint either. In the Northern Quarter, again just off Thomas Street, opposite Blu bar and below Almost Famous. Oh how I love this little place. 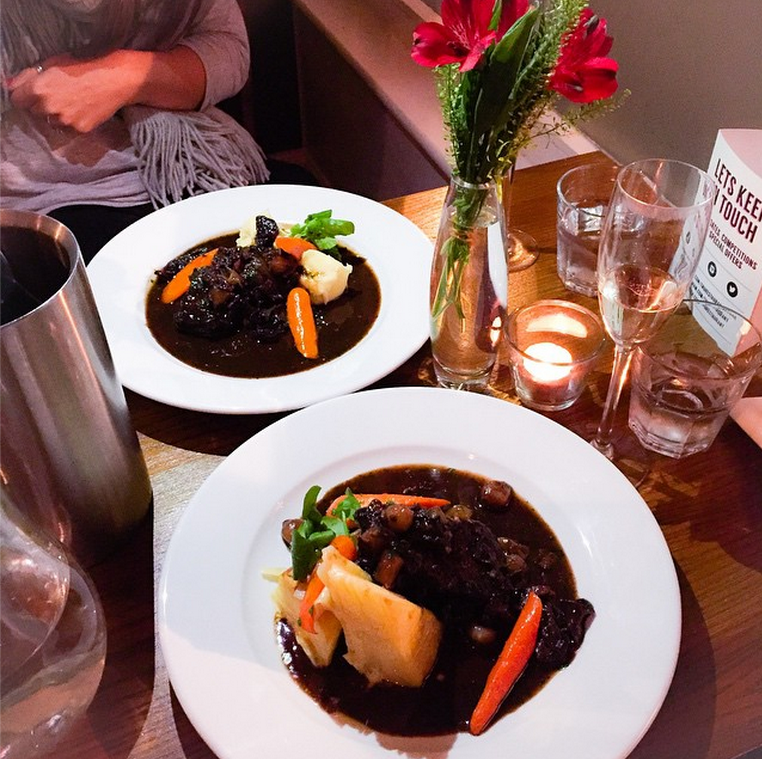 Again, right near a few others in this post, TNQ is just off Thomas Street in the heart of the Northern Quarter, and just a short venture from the Arndale Centre for anyone from out of town. I love the ambience in here, with a really smart and sophisticated feel to it, but totally down to earth. Here you will get a la carte dinners cooked for you without the pretentiousness. Check out the menu to get your tastebuds excited. Perfect for a girls dinner, date night or lunch date with your mum. Fairly pricey, but not to the extent of the first two on this list. Plus, if you turn up before 6.30, any day other than sunday, they do a fabulous Lunch Menu with 3 courses for £17! You will love it here. The beef blade. Oh, the beef blade. The Eggs Benedict is also yummy for brunch. Just off Thomas Street, up the cobbled road, a few steps from Lust Luck Liquor and Burn. I had to include this place, as I don’t know anywhere else that specialises in Hotdogs, or indeed, the most insane sweet covered pizzas. This place has such an American vibe to it, being hidden down underneath the building, with that cool secret American bar feel. But the hot dogs are absolutely awesome. Such a cool place to go on a date, or with a big group of mates. Check out the menu if you’re interested. You’re looking around £7-8 for a hotdog. Totally reasonable. The Philly Cheese Steak, duh! No, but seriously, its great. 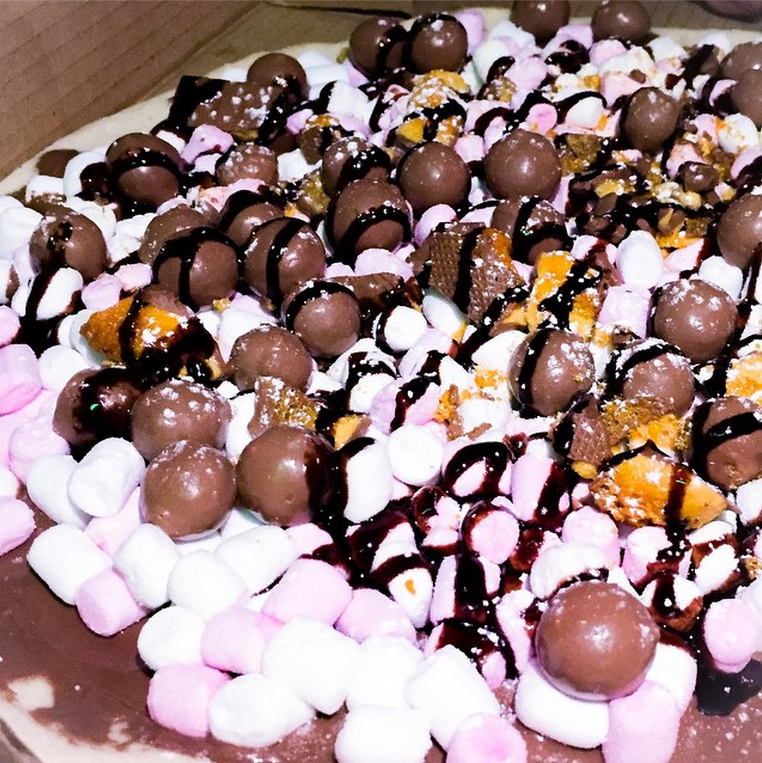 And the dessert pizza, where you choose three favourite toppings, you will be eating this for at least a week after you take it home. It’s absolutely huge. Just off Cross Street, before you get to Alberts Square where the Christmas Markets are. Tucked down an alleyway there. For those interested in something a little different, or if you’re a big fan of Greek cuisine, then this is definitely the place. 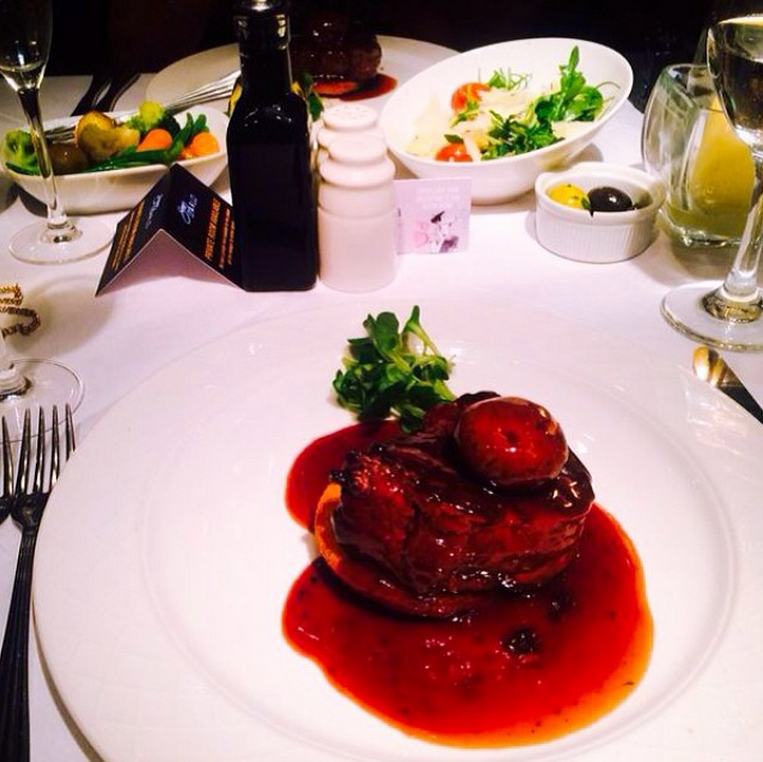 At the very end of Deansgate, opposite the Hilton Hotel, Dimitris is known for being fantastic. It is Greek Tapas at its best, with all the usual suspects on the menu, cooked beautifully. This place is great for a catch up with friends or for a cool yet romantic date, especially with it’s outdoor area, totally lit, heated and covered over. Have a peek at the menu. This place can be a tad pricey, as all of the tapas dishes add up. 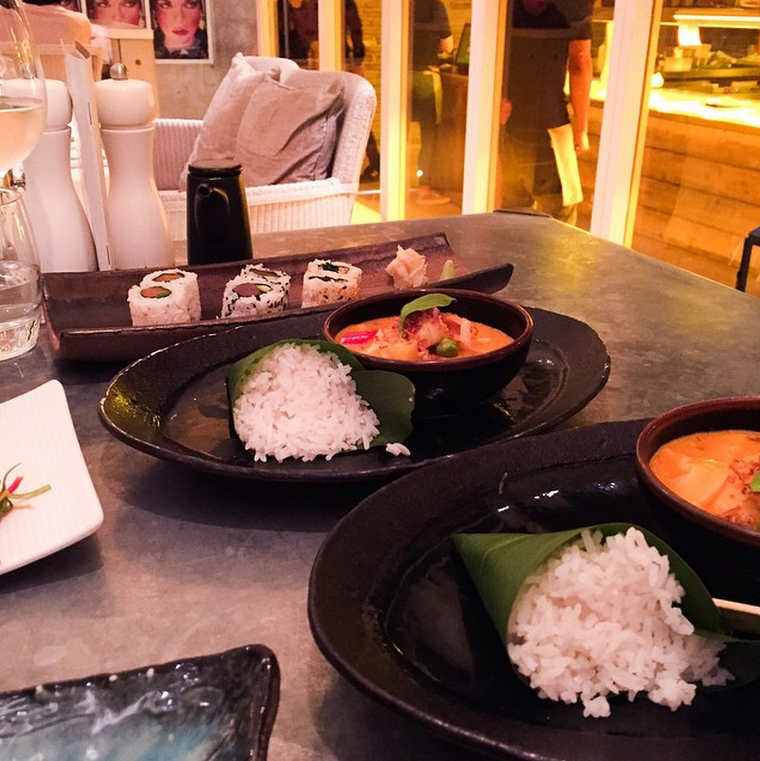 But if you go between 5 and 6pm, they have a happy food hour that will save you some pennies, and the mid-week offers where you can choose 5 dishes for a set price, are a brilliant way to save. The chicken Aphrodite is your typical yummy chicken in cream and white wine. And the hot camembert is also delicious. But everything else on the menu is wonderful. Opposite the Hilton Hotel at the end of Deansgate, away from the city centre. I really hope I at least showed you one new place you need to visit, even for you Manchester regulars! And please do let me know your favourites. These are just my tried and tested favourites and I felt you needed to know about it! There are a few more I’d gladly mention, like The Bakerie, the brasserie inside Harvey Nichols and Home Sweet Home, but a few others just pipped them to the post. 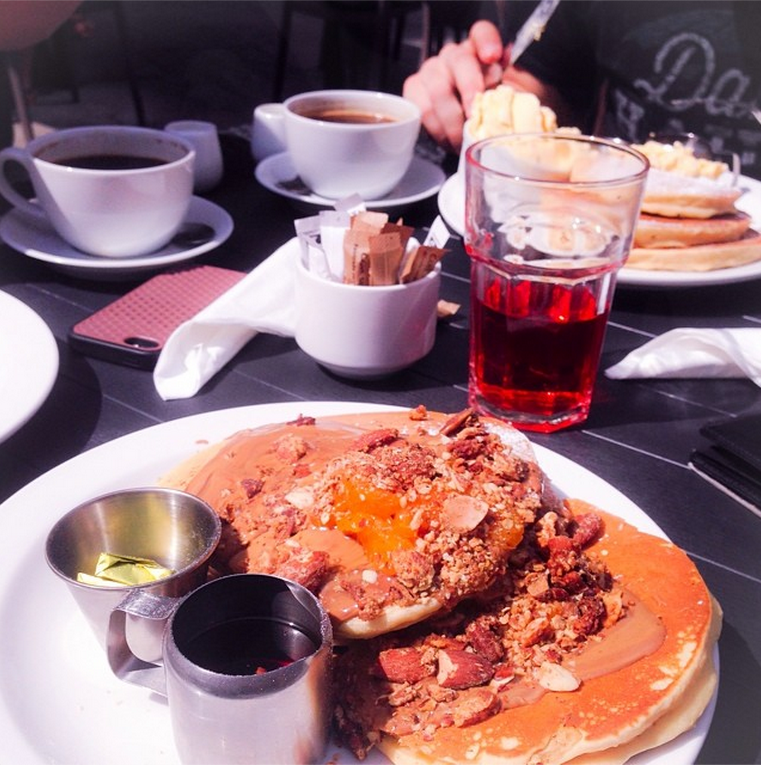 But those are also wonderful places to try out for lunch, a swanky brunch or an American/English hybrid breakfast. Stay tuned for the best places to Drink in manchester too, coming up very soon! As soon as I get my act together and finish writing it, that is. Until then!